QAFAC continues to demonstrate its commitment and dedication to a healthier natural environment, through our environmental conservation processes and activities. We recognize the potential negative environmental impacts associated with our production processes, and therefore strive to implement proper environmental management to mitigate and minimize these impacts. 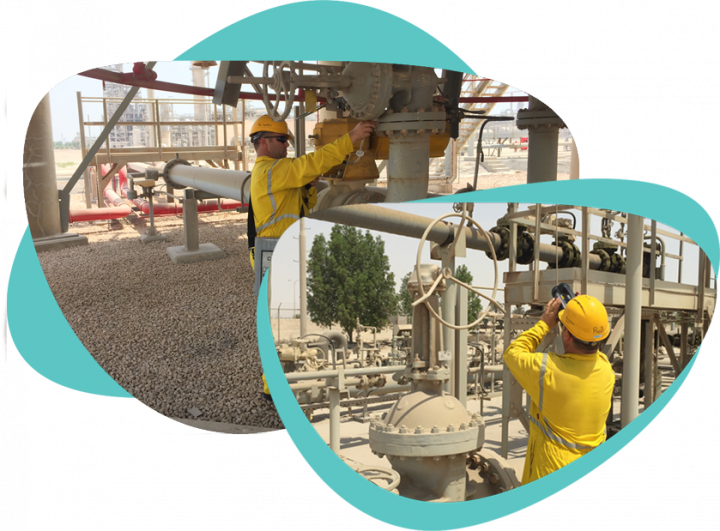 QAFAC’s LDAR (Leak Detection and Repair) program has been implemented at both the Methanol and MTBE plants. This project has been performed by a world renowned contractor. The Leak Detection and Repair (LDAR) campaign, focused on monitoring fugitive emissions of Volatile Organic Compounds (VOC) and hazardous air pollutants. This program follows the US Environmental Protection Agency’s standards for the synthetic organic chemical industry (SOCMI). In essence, the program checks all components of the facility that are subject to leakages, identifies any leaks and calculates the possible amount of gas or material leaked. Any leaks are then repaired, and further analysis done to ensure that no other leaks remain. Finally, frequency detection tests are planned and conducted on suspected components. Some of the measures currently in place to reduce fugitive emissions are listed below. All pressure relief valves and vent lines from sampling devices and pump handling process fluid are vented to the flare system. Tandem mechanical seals are used in centrifugal pumps and compressors to eliminate gland leaks. Methanol and MTBE storage tanks are fitted with internal floating roofs to minimize vapor discharges. Construction material is chosen to minimize the effects of corrosion and eliminate leakages caused by corrosion-related failures. We use natural gas as a main raw material for production, and our processes are gas-based so do not generate a significant amount of hazardous and non-hazardous wastes. Nonetheless, the main generation of waste occurs during major maintenance and turnarounds. It is important to us that we operate in a way that minimizes the generation of disposable waste, so we are taking particular care in establishing best waste management practices. Recently we have installed new centralized and multifunctional network printers to replace numerous printers used and reduce consumables (ink, paper,) that in turn will reduce further waste generation. We also started introducing the virtualized VMWare desktop, which further improves information security, increases energy efficiency and extends the equipment shelf life. With the aid of external environmental services consulting companies, we have made impressive strides toward waste recycling and environmentally friendly management of energy and water consumption. Recycling machines for tins and plastic bottles were installed to encourage employees to recycle and contribute to saving the environment. We use natural gas as a main raw material for production, and our processes are gas-based so do not generate a significant amount of hazardous and non-hazardous wastes. Nonetheless, the main generation of waste occurs during major maintenance and turnarounds. It is important to us that we operate in a way that minimizes the generation of disposable waste, so we are taking particular care in establishing best waste management practices. Recently we have installed new centralized and multifunctional network printers to replace numerous printers used and reduce consumables (ink, paper,) that in turn will reduce further waste generation. We also started introducing the virtualized VMWare desktop, which further improves information security, increases energy efficiency and extends the equipment shelf life. With the aid of external environmental services consulting companies, we have made impressive strides toward waste recycling and environmentally friendly management of energy and water consumption. 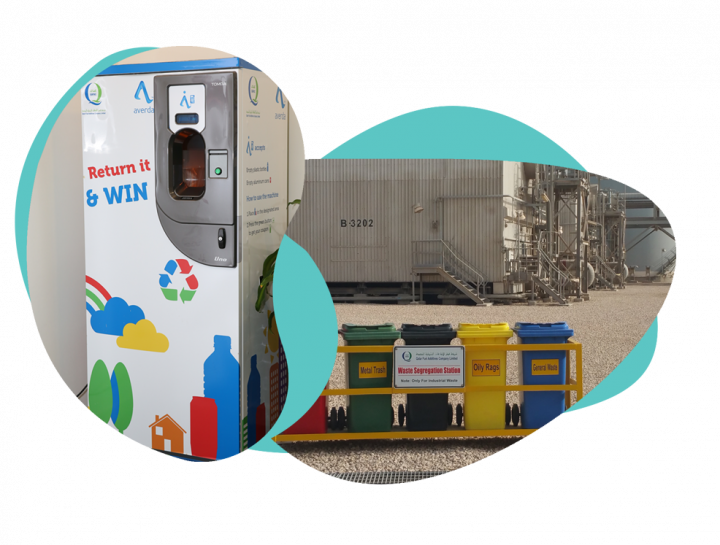 Recycling machines for tins and plastic bottles were installed to encourage employees to recycle and contribute to saving the environment.